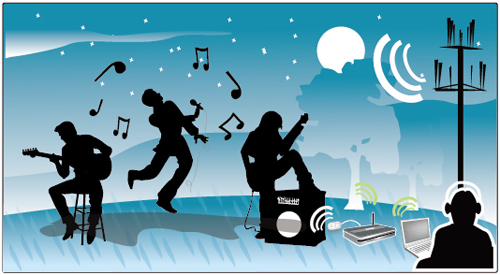 Create your own portable hotspot! Enjoy the freedom of secure, high-speed Internet connectivity at the home, office, or while on the road with Billion's compact BiPAC 7402GXL dual-interface ADSL2+/3G firewall router. Wired connections can benefit from the ADSL2+ standard’s flexibility, offering download speeds of up to 24Mbps using a standard telephone connection, while wireless connections profit from download speeds up to 14.4Mbps *(Note 3) delivered via 3G/HSDPA, EDGE, UMTS or GPRS networks. The BiPAC 7402GXL is equipped with a built-in 4-port full-duplex 10/100 Switch to allow easy connecting of other wired-Ethernet devices. Directly connect up to four PCs, or additional hubs or switches to create a larger network as needed. 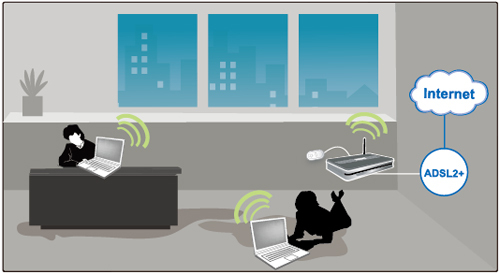 Use the integrated Router function and a USB port to share a blistering ADSL2+ or 3G-based Internet connection (requires an additional 3G USB modem), with automatic fail-over to ensure an always-on Internet connection in the event that one of your Internet services fails. The BiPAC 7402GXL can also encode all 802.11g wireless LAN transmissions with either WEP or WPA encryption to ensure that your data is protected, and boasts a DHCP Server and a powerful SPI firewall to protect against intruders and most known Internet attacks. 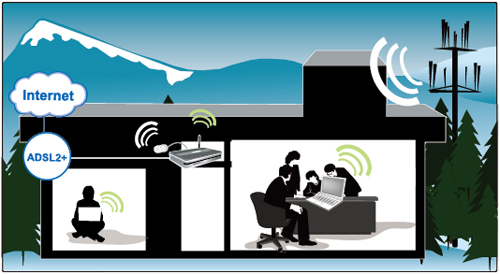 Secure WLAN setup is simplified by the web browser-based configuration for easy access to the Internet wherever a 3G connection is available - whether you're seated at your desk or taking a cross-country train trip. The BiPAC 7402GXL allows you to connect a 3G/HSDPA USB modem to its built-in USB port, enabling you to use a 3G/HSDPA, UMTS, EDGE, GPRS, or GSM Internet connection, makes downstream rates of up to 14.4Mbps *(Note 3) possible. With the increasing popularity of the 3G standard, communication via the BiPAC 7402GXL is becoming more convenient and widely available -allowing you to watch movies, download music on the road, or access e-mail no matter where you are. You can even share your Internet connection with others, no matter if you're in a meeting, or speeding across the country on a train. The BiPAC 7402GXL is compliant with worldwide ADSL standards, and supports download rates of up to 12/24Mbps using ADSL2/2+, 8Mbps using ADSL and an upload rate of up to 1Mbps. Using this technology you'll be able to enjoy high-speed ADSL and broadband multimedia applications such as interactive gaming, video streaming and real-time audio. The integrated Annex M standard supports ADSL2/2+ for higher upload speeds by doubling the upload data rate. Planned support for auto-failover means that you'll be assured of a constant Internet connection – in case your ADSL line fails, the BiPAC 7402GXL will connect via 3G to deliver uninterrupted connectivity. An integrated 802.11g Wireless Access Point offers quick yet easy access with data encryption for added security. Wireless Protected Access (WPA-PSK/WPA2-PSK) and Wireless Encryption Protocol (WEP) support ensures high-level data protection and WLAN access control. In addition, rich firewall security features such as SPI, DoS attack prevention and URL content filtering are integrated to provide unparalleled protection for Internet access. Enjoy the benefits of added security by simply pressing the Wi-Fi Protected Setup button to quickly and easily set up secure wireless communication. If your network requires wider coverage, the built-in Wireless Distribution System (WDS) repeater function allows you to expand the wireless network without the need for using any wires. Enjoy all the benefits of a high-speed ADSL connection right at your desk with the BiPAC 7402X series, offering a secure computing experience, with an integrated SPI firewall, DoS prevention and other robust security features. The auto fail-over feature ensures maximum connectivity and minimum interruption by quickly and smoothly connecting to a 3G network in the event that the landline fails. The BiPAC 7402X series will then automatically return to the ADSL connection when it's restored, reducing connection costs. These features are perfect for office situations where a constant connection is paramount. 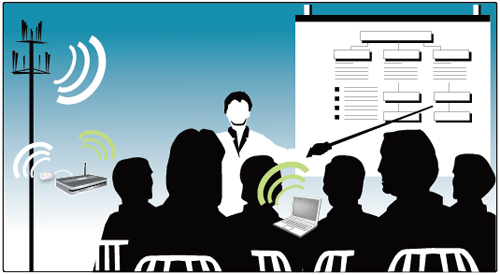 The BiPAC 7402X's innovative browser-based configuration allows you to quickly and easily set up a WLAN, so when you're at a meeting or training, your guests or participants can quickly and securely access the Internet via a 3G network to retrieve emails, share meeting minutes or training materials with their colleagues. 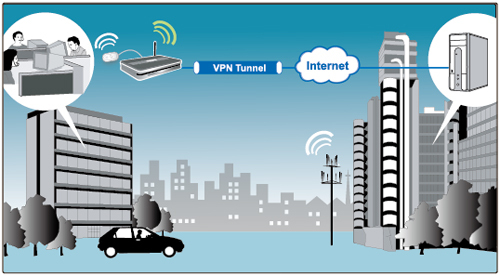 The integrated IPSec VPN function allows you to establish encrypted connections of up to 16 VPN tunnels over the Internet - so you can access your corporate intranet and transmit sensitive data between branch offices and remote sites anytime; even when you are on the road, thus enhancing productivity. 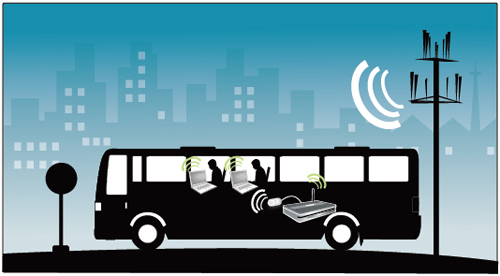 By installing the BiPAC 7402X series, public transport operators can update passengers with real-time weather and event information, updated regularly via a 3G Internet connection, or offer business travelers Internet access that can be billed to create greater income potential. The car power cable *(Note 6) provides you with a power supply to the router whilst in the car. When you're chilling out at a party or concert, the light-weight, portable BiPAC 7402X series frees you to instantly share your pictures or video clips of the event with friends and family -- so those close to you can share your joy. 2. The router may require firmware modification for certain ADSL2/2+/ Annex M DSLAMs. 4. IPTV applications may require subscribing to IPTV services from a Telco/ISP. 6. The car power cable can be made available as an optional accessory upon request.